Melinda re-did her dining room in a gray palet which is very modern and updated. But those lower panels needed something extra special. 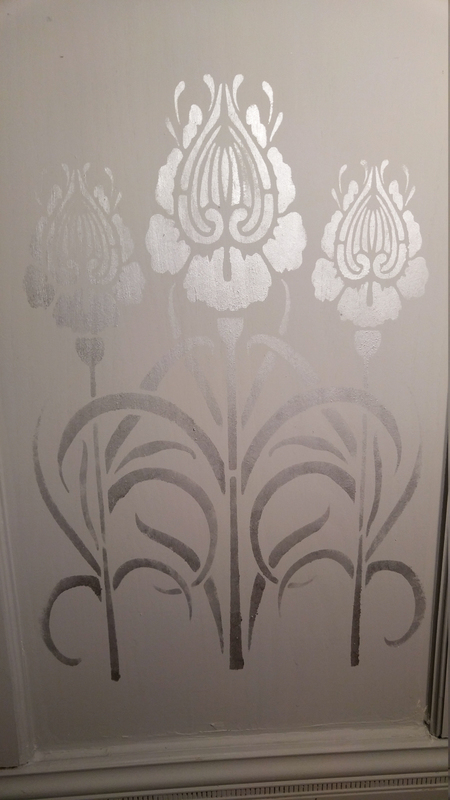 She used our Raised Plaster Flores Panel Stencil with metallic silver paint over the darker gray paint color. Not only did it add a wonderful pattern to the panels, the metallic paint gave it an extra dose of glam! 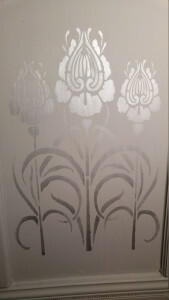 Remember that all of our Raised Plaster Stencils can also be used with paint for any project you have in mind.